Nothing says 'we appreciate you' like a grand stairway exit! Farewells can be pretty bittersweet, but they don't have to feel like the end of something. This is probably what this Apple store's employees thought when they planned a celebratory send-off for their colleague. 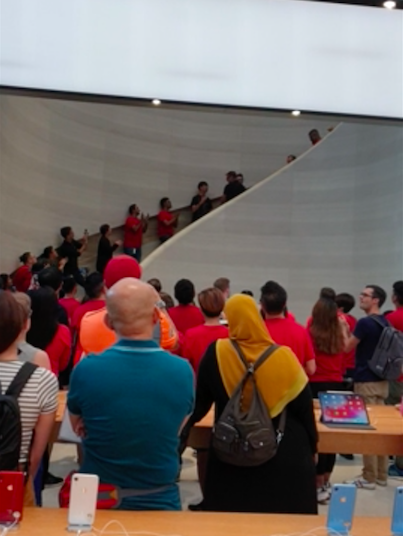 In a video posted on Reddit Singapore, a staff member of Singapore's Apple flagship store on Orchard Road can be seen ending his last day of work there on a high note. The man hugged and shook hands with his colleagues who stood on the steps, as Justin Timberlake's 'Can't Stop The Feeling' played in the background. 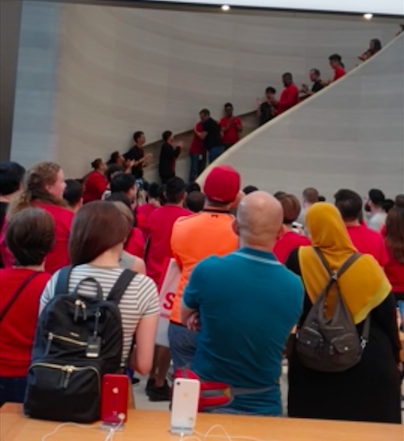 Nevertheless, several Reddit users praised Apple Singapore for making their employees' final days feel like a celebration rather a sad affair. Slide down, slide up. Repeat. The employees were also given a single-level demotion.